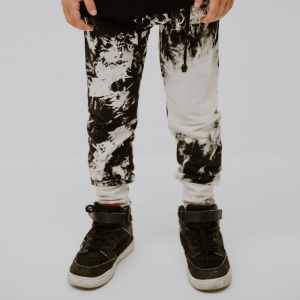 Who would want kids clothes with puppies, fairies or trucks on when you could have a Nadia Flowers original artwork on your very own piece of Punk Baby Clothing. 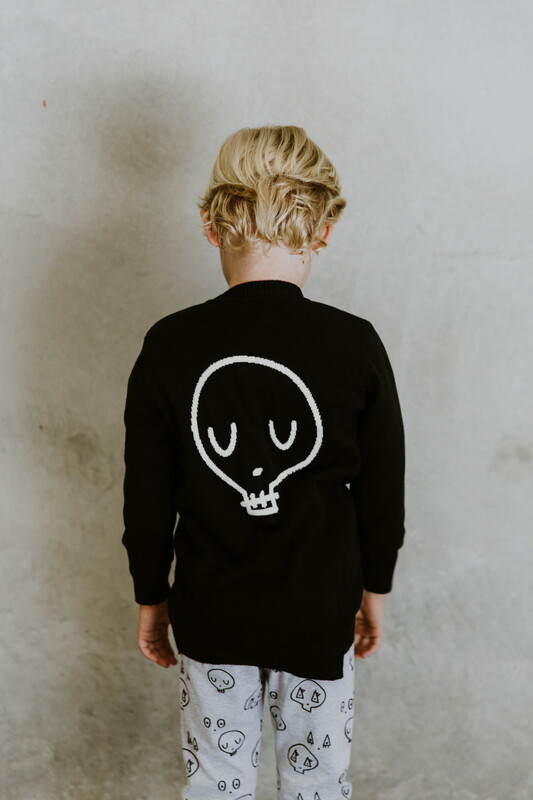 Clothing with attitude made for kids with attitude – they’ll be standing out in a crowd and you’ll have all the other parents begging to know your fashion secrets! 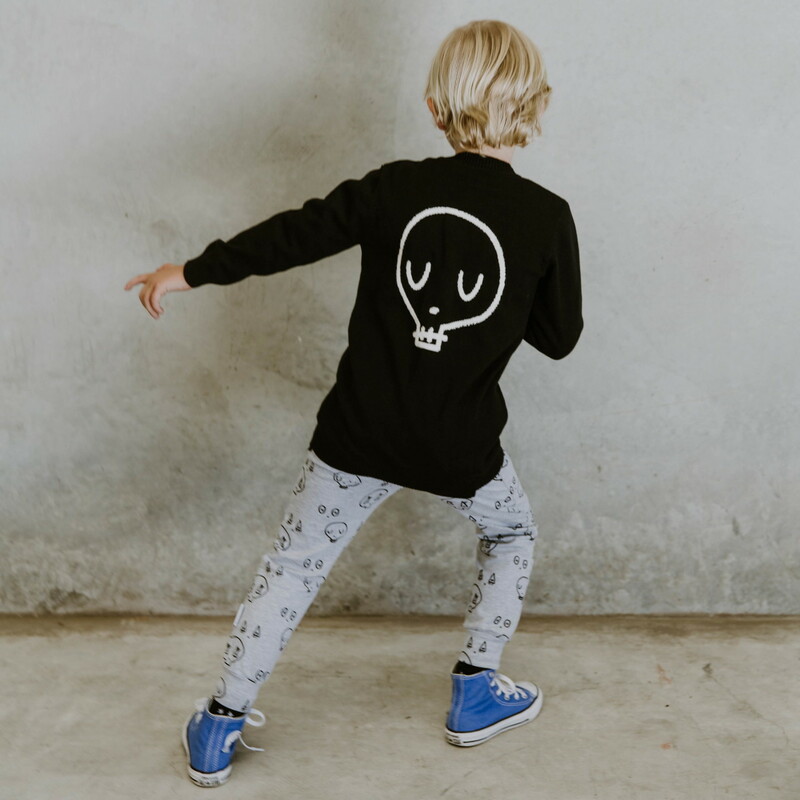 When your kids are looking so fly, even the Nana’s at the supermarket have to stop and tell you how gorgeous your beautiful children are, and the funniest bit, they are so busy swooning over them, they haven’t even noticed their clothing is covered in skulls! 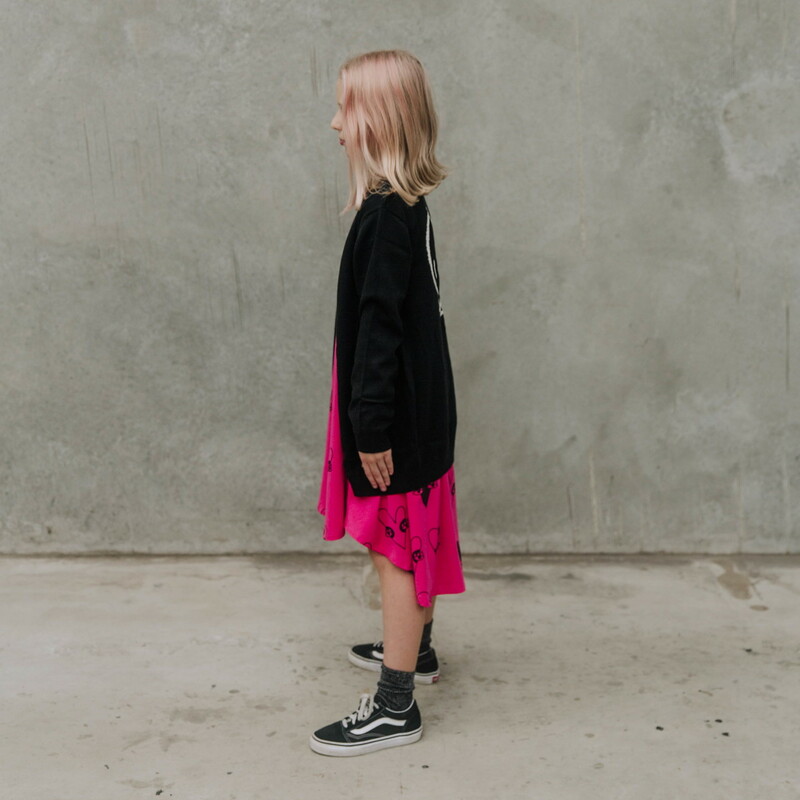 Our Rad Knitted Cardy is a must have for all seasons! Perfect warm layer to chuck on in Spring/Autumn, and great winter warmer to wear over long sleeves and an added snuggly layer under your winter jacket. 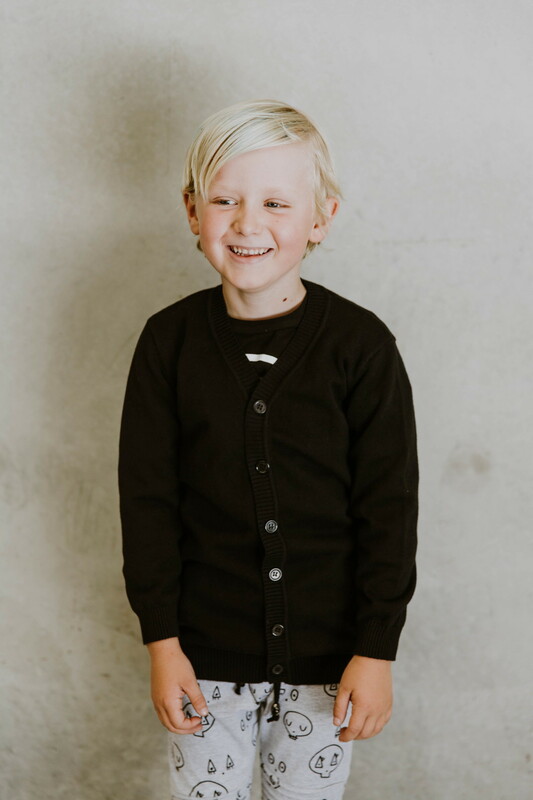 These are a long line cardy, meaning they are longer than average – below the waist – and can be worn either buttoned up, or unbuttoned like a coat.